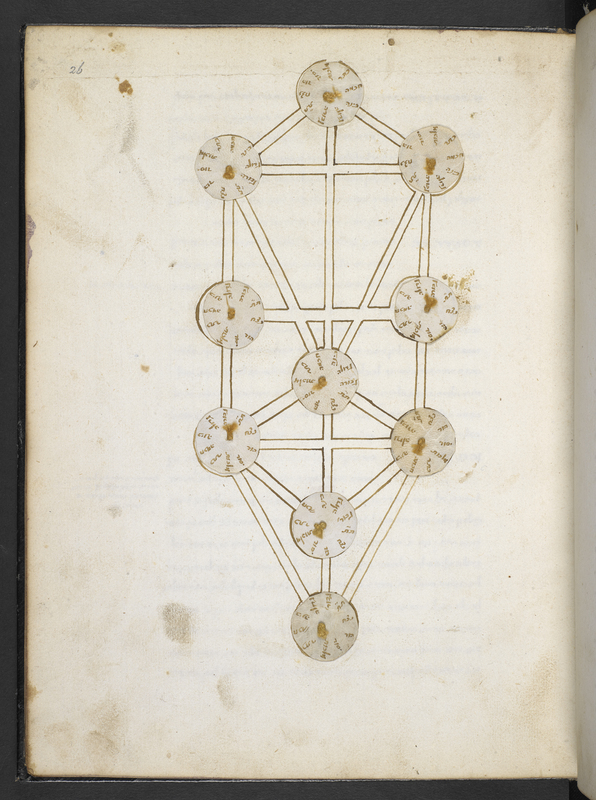 The British Library is working on digitizing their complete (and incredible) collection of Hebrew manuscripts. In the process of doing so, they have been asking scholars, experts in their various fields, to write articles on various aspects of the Hebrew manuscripts. This was the case with a recent article written by noted Kabbalah scholar Yossi Chajes dealing with the British Library manuscripts. When I saw the article, I was shocked! One of the manuscripts described in the article, Add MS 27091 (created 1588), looked exactly like a Columbia manuscript, MS X893 C81 (created 1579)! (See images below.) Because the Columbia manuscript had been in the Hebrew Manuscripts exhibition in 2012, I had ready images available to compare the two images, and indeed, they looked nearly exactly alike. The manuscripts were most likely created by the same scribe, nearly 10 years apart. A scholar at the University of Haifa working on the Ilanot Project, Dr. Eliezer Baumgarten, then informed us that there was yet a third manuscript – of the same work, with the same images and style, produced by the same scribe – at Paris’s Bibliothèque nationale de France (PARIS BN 864, created in 1577). The full discussion took place on Twitter, and hopefully it’s just the beginning of some interesting scholarly work! 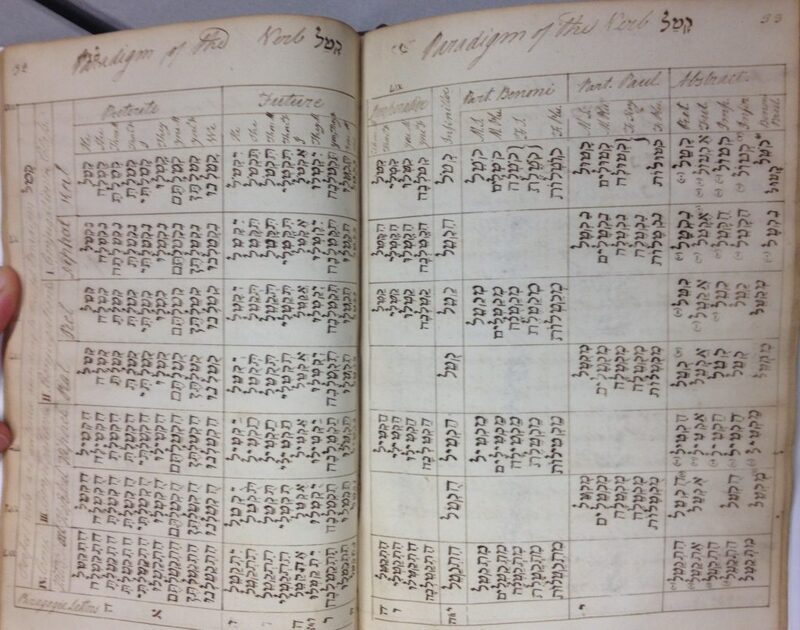 Update: A fourth was identified in the Ilanot database (Bodleian Library MS Mich. 342), 1681! 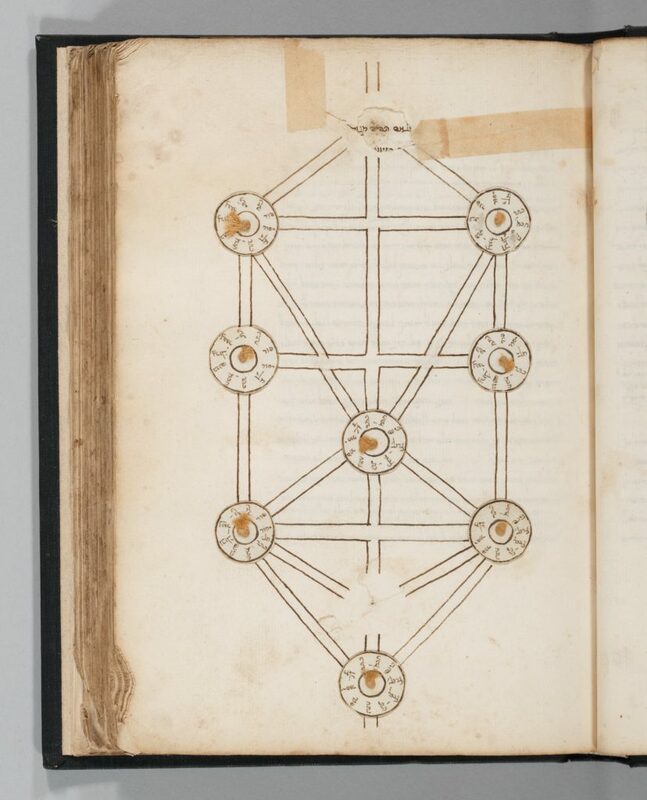 This entry was posted in Uncategorized and tagged Bibliothèque_nationale, British_Library, brother_mss, kabbalah, manuscripts on May 11, 2016 by Michelle. The papers of noted Columbia professor, Yosef Yerushalmi, have now been processed and are mostly (with the exception of some closed correspondence) open for use in the Rare Book and Manuscript Library. Many thanks go to Jacob Goldwasser and Carrie Hintz for their tremendous work on the archive. Yosef Yerushalmi was a Jewish historian and a professor of Jewish history, primarily at Harvard University and Columbia University. This collection includes most of his academic records and many of his personal records as well. This includes research, correspondence, and notes. The collection varies greatly in its constitution. It contains some very personal correspondence, such as an anniversary card from Yerushalmi’s father in the late 1960s. It also contains some or Yerushalmi’s meticulous personal records, including a journal of his own experience undergoing psychoanalysis and various date books. It has a very full and comprehensive assortment of professional correspondences, including hundreds of hours of meeting minutes for “A Psychoanalytic Study of Anti-Semitism” and all of Yerushalmi’s correspondences as the president of the Leo Baeck Institute. The collection has very specific logistical information, even records of transportation for lectures and financial records. The majority of the materials in the collection are in the form of correspondence. Even much of Yerushalmi’s research was correspondent in nature, as he often requested various materials from individuals and archives around the world. The other major component of the collection is Yerushalmi’s personal notes. This includes thousands of pages of lecture notes, class notes, and publication drafts. Yerushalmi lectured all around the world, but mainly at universities in the United States and Israel, and most of these speeches are well preserved in the collection. After a long and fruitful teaching career, Yerushalmi produced reams of notes to himself about what to discuss in class. 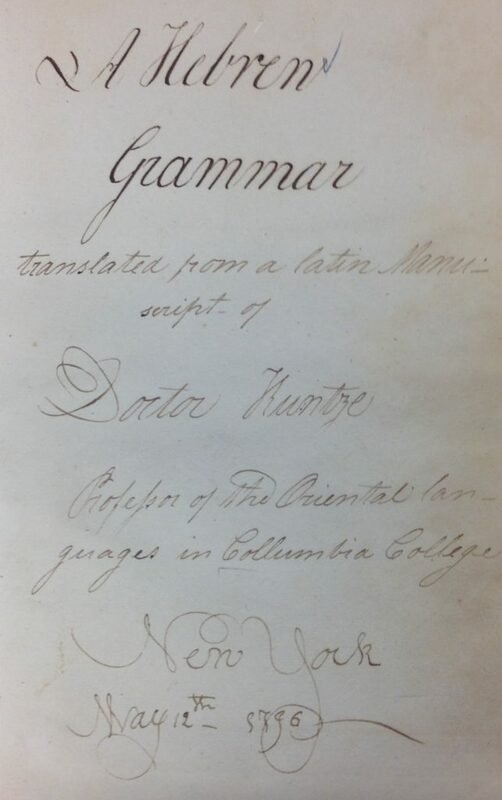 In addition to his personal notes, there are actual tests that he administered to his students in the collection, as well as syllabi and grading sheets. He even saved some student papers and letters of recommendation. Yerushalmi was also a prolific writer, and draft upon draft of his publications lie in the collection. The publication materials are in a few formats. In terms of linear feet, corrected drafts of manuscripts comprise the bulk of them. For each of the books that Yerushalmi wrote—and he wrote several—there are many versions, often in many languages, sent between him and his editors, with corrections from both entities. 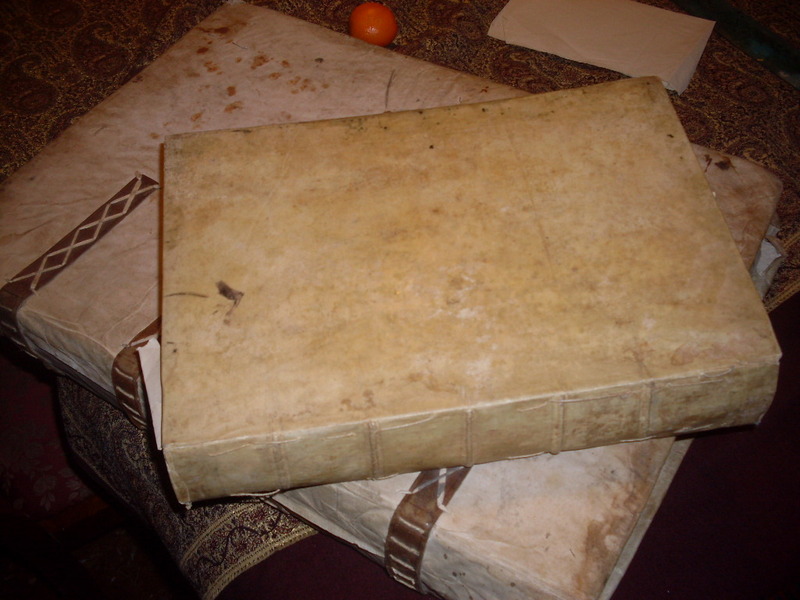 Some were reprinted in different editions, which begot even more manuscripts. In order to produce these works, Yerushalmi relied heavily on research from primary sources for the most part. Much of his research was on the Jewish communities of the Middle Ages, and he saved thousands of photocopied primary documents, as well as photocopies of letters the Freud wrote used as research for Yerushalmi’s work Freud’s Moses: Judaism Terminable and Interminable. This entry was posted in Uncategorized and tagged Archives, manuscripts, Primary Sources, RBML, Yosef_Yerushalmi on June 13, 2013 by Michelle. 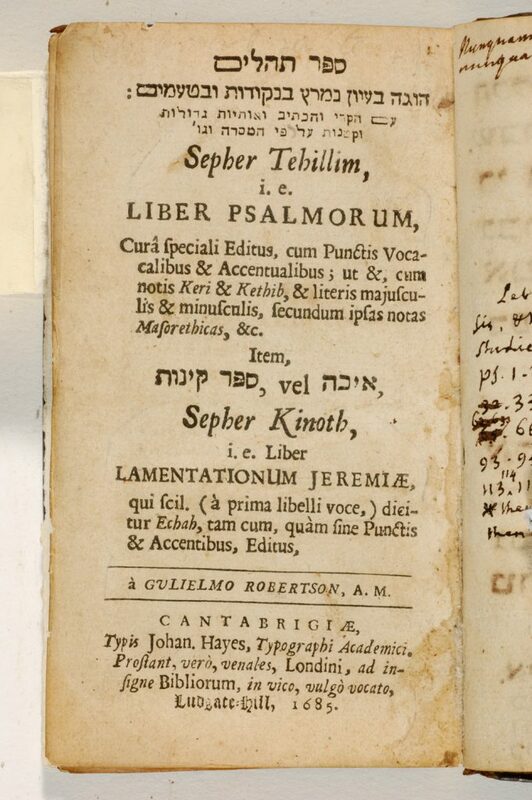 As we near the close of physical version of The People in the Books (the online version will, of course remain online), we look forward to one more lecture dealing with Hebrew manuscripts. 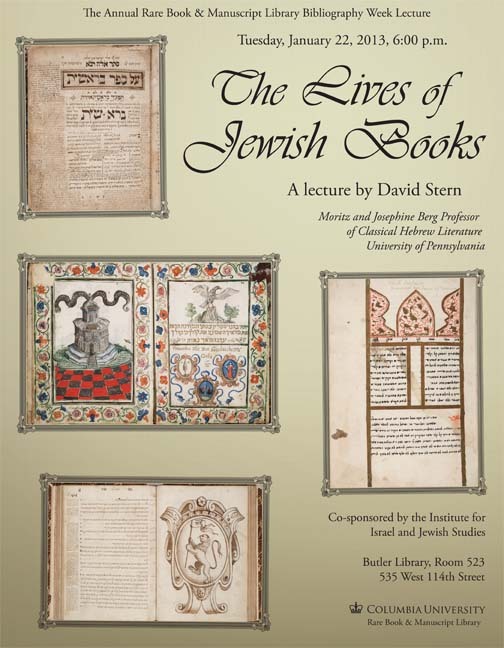 On January 22, as part of the Grolier Club's Bibliography Week, Professor David Stern (University of Pennsylvania) will be speaking at Columbia on "The Lives of Jewish Books." The lecture will highlight two medieval manuscripts – one Ashkenazic and one Sephardic, and will describe the stories that they represent. All are welcome to 523 Butler Library at 6 PM for the lecture. Remember, the exhibit will close on January 25! Hours for the exhibition are 9-4:45, Monday through Friday. This entry was posted in Uncategorized and tagged Bibliography, lectures, manuscripts, Stern_David, The_People_In_The_Books on January 9, 2013 by Michelle. 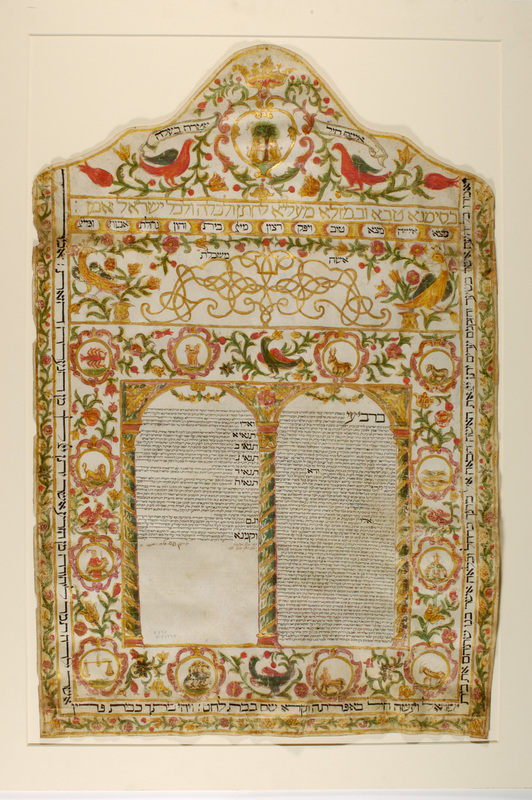 It is with great pleasure that I announce that Columbia’s exhibition of Hebrew and Judaic manuscripts, The People in the Books, is now open, through January 25, 2013. The exhibit is free and open to the public during all RBML hours of operation. Entry is free, and handicapped accessible. Please bring valid government-issued photo ID for entry to Butler Library through the Library Information Office, just inside the front door. For entry on Monday evenings after 6:00, please have the Butler Door Guard call the RBML Reference Desk, (212) 854-5590. For those who cannot make it to NYC, the exhibit is also available online here. Note that the best way to view the exhibit is through both the online and the physical exhibitions. 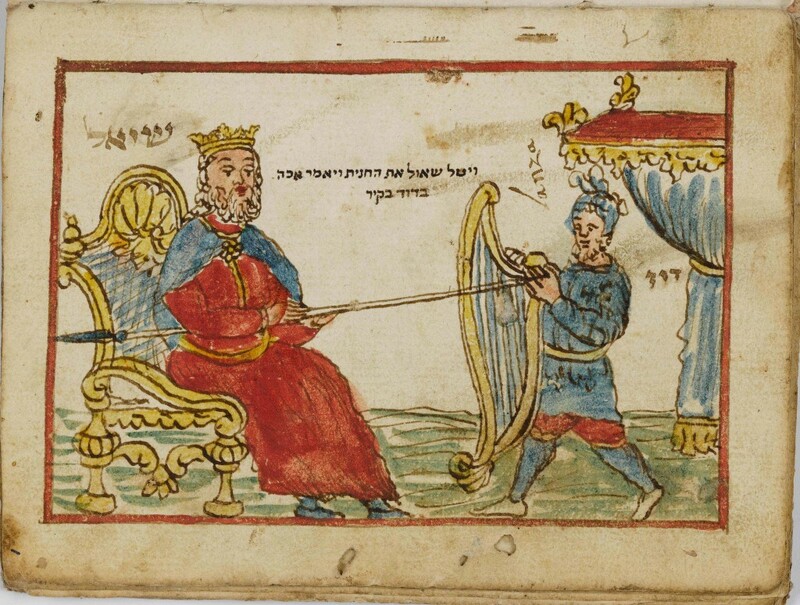 A miniature Torah scroll in its own wooden case and a handwritten description of and cure for scurvy, for example, did not make it into the online exhibition, while the image shown here, of David playing the harp for King Saul, cannot be seen in the physical version, because the book in which it appears is open to a different page. 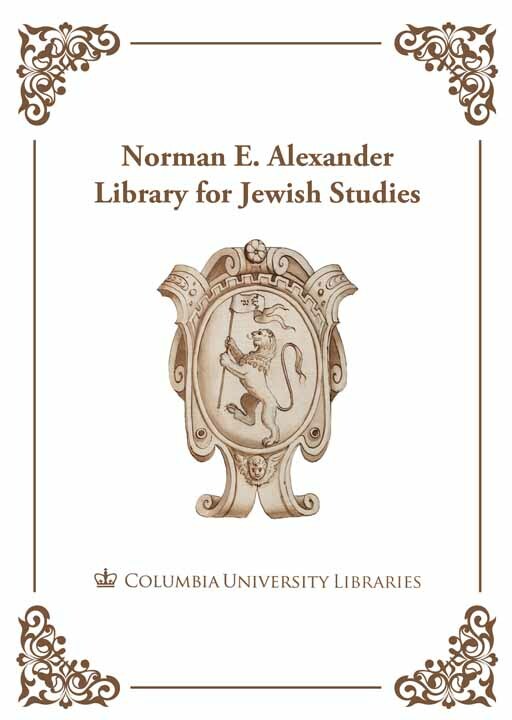 For more information about the exhibit or any of the manuscripts, please contact Michelle Chesner, Norman E. Alexander Librarian for Jewish Studies, at mc3395@columbia.edu or 212-854-8046. 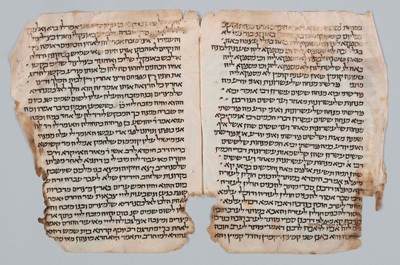 This entry was posted in Uncategorized and tagged digital, Hebrew_mss@cul, manuscripts, RBML, The_People_In_The_Books on September 14, 2012 by Michelle.